The MTAC insurance program provides commercial property and casualty insurance to any eligible member. The program includes the following coverages: Property, General Liability, Auto, Workers’ Compensation, Cargo & Inland Marine. 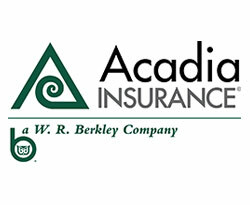 Acadia has a robust dividend program for participants, with more than $160,000 returned to members in 2014. The MTAC Insurance program was developed by current program manager Marty Shea of Sinclair Risk & Financial Management (SRFM) after years of collaboration with MTAC, and as a result of his in depth knowledge of the transportation industry. Services offered by SRFM include Claims Management, OSHA review & trainings, Risk Management & loss control, safety practices, benefit concerns, and human resources. Members receive monthly safety newsletters via email and are encouraged to reach out to Mr. Shea with any questions about the MTAC program via email or by calling (203) 265-0996. Bestpass is in the business of saving commercial fleets and drivers time and money. Founded in 2001 by the New York State Motor Truck Association, Bestpass provides nationwide streamlined toll management services, including consolidated billing, volume discounts, violation processing and a single service compatible with more than 40 tolling groups and all weigh station bypass networks. With more than $30 million in toll processed each month, Bestpass is a trusted partner both on the road and in the back office. MTAC members can save 20% or more on tolls by using Bestpass – and get a 5% discount on Bestpass service fees. A company’s DOT-compliant drug and alcohol testing program requires a high level of expertise and experience. MTAC’s partner Fleet Screen is dedicated to providing the highest quality screening practices, along with exceptional customer service, at a very competitive rate. They have relationships with dozens of clinics in Connecticut, as well as other clinics all across the country. Through this partnership with Fleet Screen, MTAC members will see greatly reduced administrative and financial burden for complying with federal drug and alcohol testing regulations. They will also see reduced per-test costs. Additionally, Fleet Screen has developed a proprietary background check service for MTAC members to assist them with their driver screening needs. Their background checks include Social Security Verification, CDLIS Report, Connecticut Driving Records (MVR’s), National Criminal Database, and more. Contact the MTAC office to find out how to get enrolled in the time-saving, money-saving drug and alcohol testing program, as well as how to take advantage of Fleet Screen background checks for MTAC members. Goodyear has set up special program for MTAC members. When purchasing Goodyear tires through any authorized Goodyear tire dealer, MTAC members who reference our national account number will receive discounted pricing on tires used for on-highway applications, off-highway, construction, and more. The program includes Goodyear as well as Dunlop products. When the volume of tires purchased through this program increases, the discounts will increase. This is the benefit of a strong purchasing plan – small businesses combine their buying power to access bulk discounts that would not normally be available. Contact the MTAC office to be provided the account number exclusively available to MTAC members. Wilson, Elser, Moskowitz, Edelman, & Dicker LLP is the endorsed law firm of the Motor Transport Association of Connecticut (MTAC). Wilson Elser has worked with several MTAC members over the past few years. The firm is ready to serve their trucking industry clients in any number of areas, including but not limited to: Contesting fines issued during a roadside inspection; Crafting motor carrier − independent contractor agreements; Establishing procedures to help ensure that pre-trip and post-trip inspections are completed and documented properly; Dealing with all aspects of a shipper/broker/carrier relationship; Defending civil and/or criminal litigation.